Happy Pets provides a pet taxi service for all pet needs. 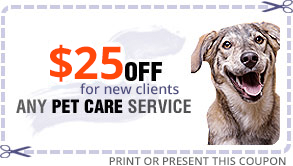 We can drive your pet to the vet, the groomer, or kennels. We can pick up and deliver pet food and medications. We happily coordinate grooming appointments and vet check-ups for busy parents.